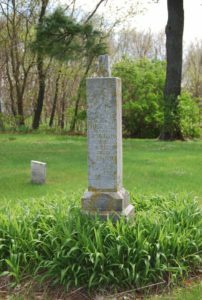 According to the Waupaca County History and Geneaology Website, Wayne and Alta Guyant read several cemeteries in the 1970s in Waupaca County and surrounding counties. Included in their recordings is the Town of Caledonia Cemetery located on County Road W just south of Schroeder Road. Click here to read who's who in the Town's cemetery. The Guyants also recorded burials in other parts of the Town including family graves on Seefeldt Road and Pines Road. Click here to read more about family graves, as well as the Town's church cemeteries.